Government - Projects | Allen & Graham, Inc. 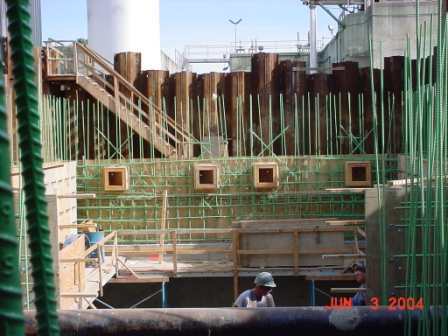 The construction of a sewage pump station included temporary sheet piling & a dewatering system in order to construct the structure which reached a depth of 35 feet below grade. 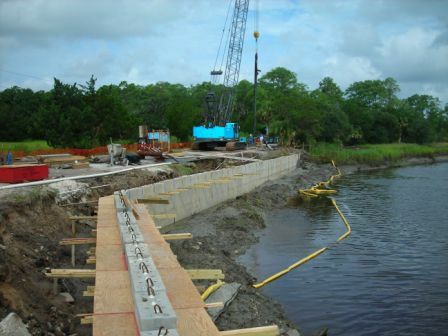 A 500' concrete sheet pile wall with grouted tie-back anchors was constructed along the water's edge.